In Maine, 0 retailers generated $294,133,693 in gross sales. This economic activity generated $63,029,986 in transfers to beneficiaries. The Maine State Lottery was established in 1974 after voters approved a statewide referendum the previous year. Tickets for the first weekly passive game called Play Me went on sale in June, and its first draw was held June 27, 1974. The Lottery’s first instant ticket, the Great Outdoors, was released in June 1975. Pick 3 Daily Numbers was the first regular draw game, debuting in June 1980. Several months later the weekly games were discontinued, with the last draw held in January 1981. Maine was part of the first multistate lottery group in the United States, joining New Hampshire and Vermont in the Tri-State Lotto Compact in April 1985. The group’s first draw game was Tri-State Megabucks, a 6/30 lotto game which launched in September 1985. 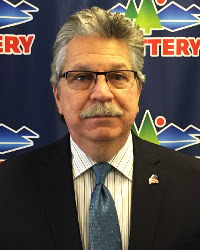 The Maine Lottery has found participation in multistate groups quite valuable, having joined MUSL in 2004 and the Mega Millions group in 2010. It formed yet another alliance in March 2012, joining the five other New England states in Lucky for Life. In January 1996, a new line of instant tickets was created to benefit the Outdoor Heritage Fund. Proceeds from select $1 instant games each year are transferred to the fund, which helps finance critical conservation and wildlife projects throughout Maine. All other lottery proceeds benefit the state’s General Fund. These contributions are distributed to over 250 various state programs and services that have a direct impact on the citizens of Maine.